Current: Behind the Scenes: Meet the YouinMind.org Team! One thing you can be sure about is that no day is ever the same. From first thing in the morning until early evening every weekday, we are committed to ensuring that we have the latest mental health services in Cheshire on our platform. There’s a lot of new online platforms for mental health launching across the country, but we do ours with a difference. We don’t leave it to the providers to add and manage their listings – instead we actively reach out to providers and ensure that their services are maintained correctly. This is our big challenge but ensures we keep the platform fresh and current in order to make finding the right service as easy as possible. This means building up a rapport with mental health service providers and the four NHS Clinical Commissioning Groups based in Cheshire – Vale Royal, West Cheshire, South Cheshire and Eastern Cheshire CCGs. Regular contact is essential to keep our platform alive and to working for the communities. I am incredibly passionate about mental health and making local and online services and support easy to find. I know from first-hand experience with my family and friends that low level early intervention supports prevention and enables our NHS partners to deliver even better support at a critical time when someone is in need. So I know our place and role in addressing mental health concerns across the UK is critical. I’m the eyes and ears of YouinMind. Whether I’m speaking on stage about my passion and our challenge, networking with providers or presenting to our NHS CCG commissioning partners, I have to keep the person we are there to help at the forefront of everything we do. And it’s that which drives me to be better and do better every day. I’ve been a part of YouinMind.org since February this year and I can honestly say it joining the team has been the best career move I’ve made so far. There is something rewarding about being able to help local people find mental health support. I myself struggle with anxiety and depression, so this role has also become a very enlightening experience! My job is essentially to upkeep the website service listings and to promote those services across Cheshire. Between adding and updating services, you’ll find me writing blogs, posting on social media, planning events, and answering provider emails. The most important part for me is making sure that everything I do results in a positive experience for our users! 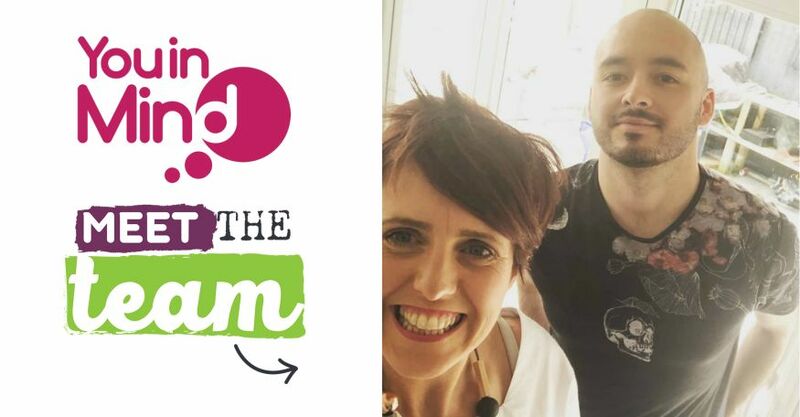 Outside of the YouinMind.org 'dream team', we also have our fantastic web developer Craig Ward that keeps our platform in check, and of course Sam Carney who offers data-driven insight to ensure we are doing the best work possible! Remember our team is on hand to discuss any service you’d like to add to YouinMind.org, so reach out to us and we’ll be happy to help!